The GE LF-116 is finished, and works nicely. 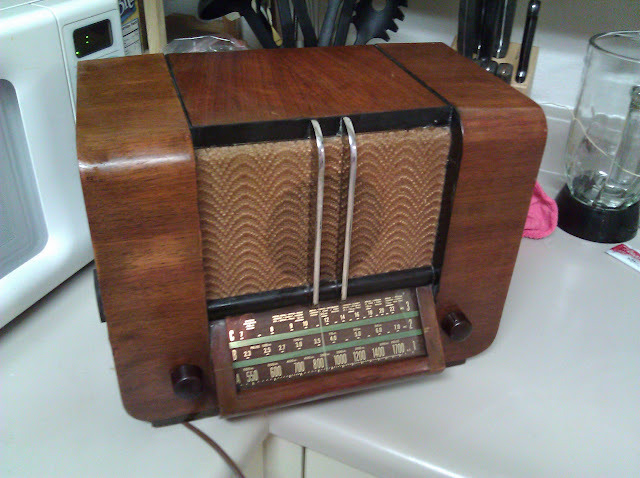 I fixed up a beautiful 1940 RCA Globetrotter A-20 radio, designed by noted industrial designer John Vassos. 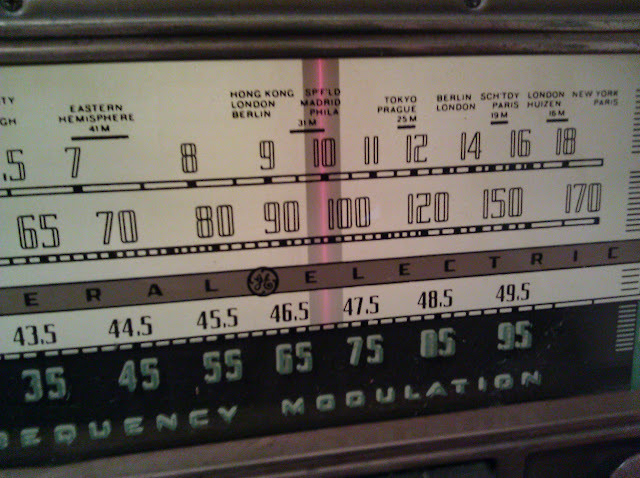 And a private-label rebranding of a 1935 Mission Bell model 35 TRF radio. I also fixed up another 1963 GE T-210B similar to one I did a few months ago, no photo of that one again. So, in conclusion, I accomplished 33% more projects than I set out to do during October, but only 25% of these projects were on my original project plan for the month. The scope and the Sanyo are bumped to November’s projects, and as one of the projects I’ll describe in a few days is definitely going to require the scope to complete, I don’t have any excuse for not getting around to it this time. This entry was posted in Collections, Ideas, Photos, Projects and tagged GE radio, john vassos, LF-116, Mission Bell radio, October, projects, RCA Radio. Bookmark the permalink.